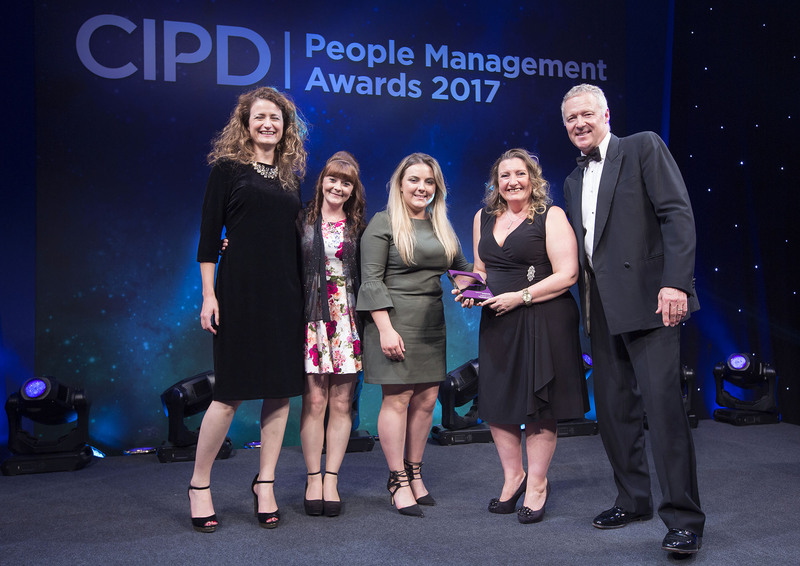 Wythenshawe Community Housing Group (WCHG) was delighted to be announced as winner in the Best Employer-Supported Volunteering Programme category for their ‘Volunteering 4 Wythenshawe’ programme at the national CIPD Awards 2017. The ceremony took place at Grosvenor House in London on 26th September 2017, and are designed to celebrate outstanding achievement in people management and development, honoring the valuable contribution that Human Resources and Learning & Development make to the success of an organisation. Nigel Wilson, Group Chief Executive of WCHG said, “We are absolutely delighted to win this award, volunteering makes a huge difference to the community here in Wythenshawe and its fantastic that we’ve been recognised for this work on a national level against some very tough competition. Thank you to all the colleagues who have donated hours towards the V4W campaign and also to the hard work of the volunteering team who help coordinate the programme”.